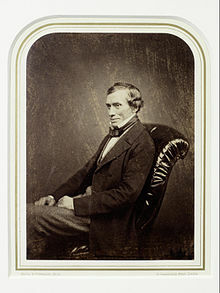 Thomas Graham (1805-1869) Discovered the ability of Palladium to absorb large amounts of Hydrogen in an electrolysis cell. Observed in 1957 interesting neutron production in his experiments, phenomena which Einstein termed many-body collective effects. They were the first to bring LENR/Cold Fusion to the mainstream media and to the world at large. Their 1989 announcement of the discovery of energy generation using nuclear reactions, without radiation, and with power outputs based on Einstein’s energy/mass equivalence, sent shock waves all over the world. They were unfortunately falsely discredited because the science was not yet known or understood. Einstein was the first to interpret a Neutron phenomena as many-body collective effects, something later confirmed by the Widom-Larsen theory. 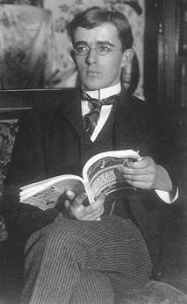 Irving Langmuir (1881-1957) Discovered that molecular hydrogen could be dissociated into atomic hydrogen and also observed excess heat released from atomic hydrogen in a plasma. Continuing were Thomas Graham left off, Tandberg discovered that helium could be made from the fusion of hydrogen in an electrolytic cell with palladium electrodes. He applied for a Swedish patent, which was not accepted. Deuterium was not discovered until 1932, at which time Tandberg continued his experiments using deuterium, with positive results. This is essentially the same experiment and results that P&F announced 57 years later. P&F were unaware that they were continuing the work first done 57 years earlier by Tandberg. In his 1976 book, The Eternity Equation, he described “inverse quantum states”, or fractional hydrogen, later called hydrinos by Randell Mills . He later wrote a paper with the same title in 1990, suggesting they would one day prove extremely important. In his 2007 paper titled “Inverse Quantum States of Hydrogen”, Bourgoin showed that the general wave equation predicts exactly 137 f/H states. Amazingly confirming Randell Mills’ theory. The founder of BlackLight Power. Developed a theoretical model of LENR based on a fractional hydrogen that he calls Hydrinos. He performed experiments showing the release of energy from hydrogen transitioning to a f/H state (electrons getting closer to the nucleus) and has developed his own theory claiming there are 137 inverse principal quantum levels of Hydrogen, just as predicted by Bourgoin. Andrea Rossi The inventor of the E-cat. He like many others, began investigating LENR after the Pons/Fleischmen 1989 announcement and soon came to the realization that a Ni-H system was a much better option than Pd-D. He then teamed up with professor Sergio Focardi who had also been working, together with Piantelli, on a Ni-H system of his own. Their efforts culminated in the 2011 announcement that they had managed to create an LENR device that was reliable, replicable, producing excess energy to the tune of a COP of 6, and ready to be be commercialized. This was the biggest news in Cold Fusion/LENR circles since 1989. Worked with Sergio Focardi from the early 90s on Ni-H LENR experiments. 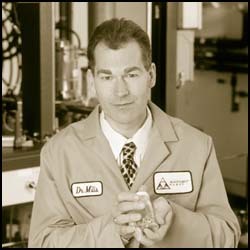 Was one of the first to be granted a US patent for an LENR device. NASA also has been conducting eperiments of their own since 1989, but mostly with Pd-D. Recently they became really serious about LENR and began working with Lewis Larsen on a Ni-H system. They’re so serious about their research, in fact, that they’ve stated categorically that LENR is the energy source of the future as it’s the best option for manned & unmanned space missions; including propulsion for both NASA and commercial airlines, internal control systems power, as well as aircraft vertical take off. They also currently have a project running in collaboration with Boeing, titled LENR Aircraft. And as if that wasn’t enough, they applied for and were granted a patent for Surface Plasmon Polaritons, a method for producing heavy electrons for LENR reactions. Inventor of a Hot Tube Boiler currently patented in China. Claims to have a working LENR device. Discovered a new species of bacteria that live in deuterium. Apart from that, he also has his own LENR energy units that make use of a “Celani wire” and produce energy in the watt range, which is really not enough to get most people excited.